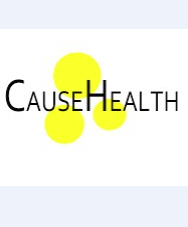 We have seen a lot of interest in the CauseHealth approach and issues during these last years, especially among clinicians who see a need for a more person centered healthcare. Can this be useful also outside the clinic? Yes, according to senior medical advisor at the WHO Uppsala Monitoring Center for Drug Safety, Ralph Edwards. In a recent perspectives article in the UMC report, he argues that dispositionalism can be useful for dealing with complexity, individual variation and the patient’s unique context. The full article can be read in the report. ← DATA AND THEORY: NEW CAUSEHEALTH PAPER ABOUT THE PROBLEM OF WEIGHING COMPLEX EVIDENCE IN MEDICINE.